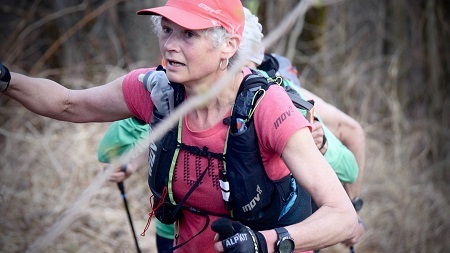 The tough 51-year-old inov-8 ambassador and breast cancer survivor was the last-woman-standing alongside fellow participant Stephanie Case in the 100-mile mountain event, widely-regarded as the world’s toughest ultra-marathon. UK-based Nicky, the record-holder for epic 100 plus mile mountain challenges like the Double Bob Graham (England) and Double Ramsay Round (Scotland), said: “The Barkley Marathons was extremely tough, in many ways. The first lap was run in really hot conditions, too hot for my liking, and then the second lap was the opposite, unbelievably cold with lots of rain.